As boomers age and begin the process of selling their family homes, they are faced with the up-and-coming homebuyers who are hugely shaping home design trends – the Millennial Generation. They have a unique outlook on life and how they want to live it, and this view is shaping how homes are being designed, built, and remodeled. So with Millennials stepping boldly into the real estate arena it’s becoming obvious that the days of buying and remodeling one room a year are mostly gone. Your home is your largest asset, and considering Millennials are the largest demographic group heading into the home buying segments, you want to make sure you’re doing your part to maximize the return. Generally, Millennials seem to prefer smaller, functional, custom homes that possess original, custom flair. 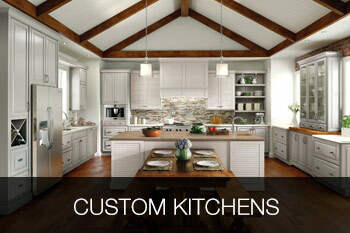 Younger buyers seek modernized kitchens and baths. This means a practical kitchen island with bar stools, customized cabinet storage and backsplashes, and a space for a TV. As for the bathrooms, Millenials prefer integrated or hidden cabinets that have storage space but still offer the clean lines of the room. Also, they seem to be attracted to colored LED lights, especially around the rim of the shower. Not only do they look fashionable, energy-efficient appliances also mean lower power bills. With energy costs on the rise and growing interest in protecting the environment, Millennials are opting for homes that are green and have smart and savvy appliances. Formal dining rooms may have been on every buyer’s wish list until not so long ago, but the appeal today has shifted to open concept spaces. Essentially, the kitchen that extends into the living room is what younger homeowners look for, so people can easily flow through the home during gatherings, rather than be compartmentalized. Most of the young buyers state that it’s important for them to have a functional outdoor space for relaxation and entertaining. On their ‘must have’ list is having an outdoor kitchen sink, cooktop, refrigerator and grill. A survey revealed that almost 60% percent of Millennials would not buy a new home without a dedicated laundry room. A home with efficient storage will rank well, with linen closets, garage storage, and a walk-in pantry. Most young buyers look for homes that are easy to maintain. They find low-maintenance features such as wood or laminate floors and granite countertops to be attractive and relatively hassle-free. There seems to be a shift from repairing to disposing and replacing. Instead of working on endless honey-do lists, most young buyers would rather spend their weekends doing other activities. The new generation of homeowners is already leading the way in making new technology within their home work for them. So, features such as the ability to preheat an oven or unlock the front door from their smartphone are becoming the new norm. A simpler feature would be installation of an electrical outlet strip that includes USB ports as well as standard outlets concealed under kitchen cabinets. The majority of Millennials say they want technological innovations and smart automation in their home. So, considering the increasing market power of Millennials – the largest demographic group heading into the home buying – it may be worth it to focus your home renovation efforts on the features they are looking for. Overall, young homebuyers prioritize updated and improved look, feel and functionality. Ready to create the contemporary millennial look for your home before you put it on the market? 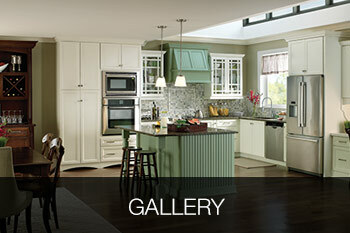 Bowers & Lobeck Inc. custom kitchens are a beautiful fusion of technology, quality materials and attractive design that will appeal to everyone from older generations to the young Millennials. No matter what your budget may be, there are things you can do to improve and upgrade your kitchen and bathroom and prepare it for the competitive market. 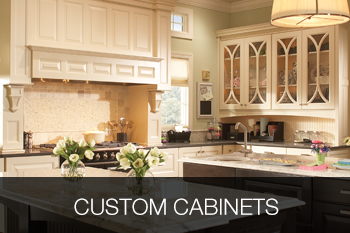 Let our specialty designers and qualified installation teams in Lancaster, PA turn your home into a selling magnet with custom kitchen cabinets and kitchen and bath remodeling.